There's nothing like waking up on a lazy Sunday morning, grabbing a cup of coffee and your favorite reading material, and heading to the sunniest room in the house to sip and relax in the natural light. The homeowners featured here have made architectural design decisions to create just such light-filled spaces in their homes. Click through for design inspiration or simply to daydream about that perfect Sunday morning in the sun. 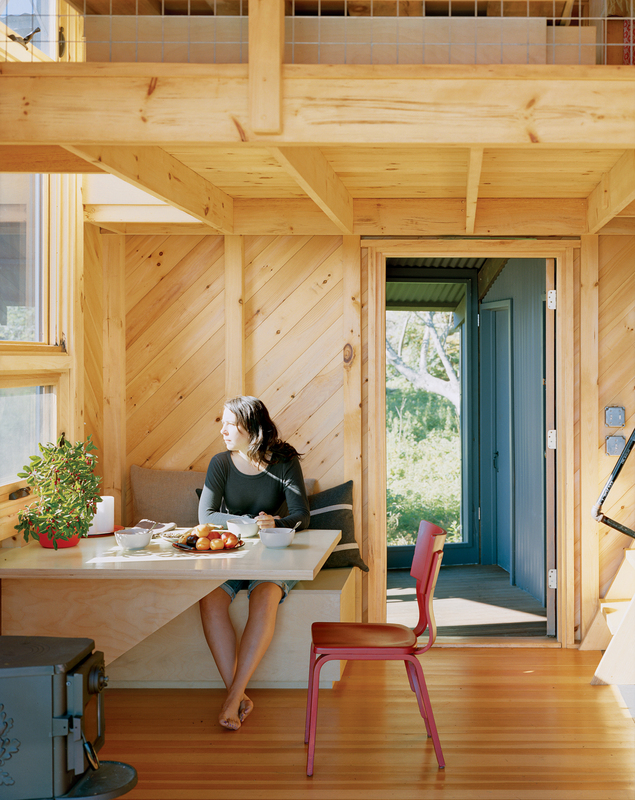 Alex enjoys a sun-filled breakfast at the built-in dining table and bench, one of many space-saving designs, in her green cottage home in Maine. A few carefully chosen furnishings punctuate the light-filled living area adjacent to the kitchen, like Buttercup Chairs by Blu Dot, a lightbox and screen print by artist John Vogt, and a kelly green vintage couch in this modern, minimal Minneapolis renovation. In this light-filled home in Denmark, French doors in the living room let light into the kitchen and open onto a lovely garden. The light-filled bedroom, in this affordable prefab home in Emeryville, California, displays a vintage teak coffee table and a Danish modern floating bed. Originally appeared in What Would Eichler Do? Seth Krubiner enjoys a moment of quiet in his light-filled living room. Read the full story about Simpatico Homes Eichler-inspired modular home in California. A loveseat and two Neo arm chairs by Niels Bendtsen in the living room offer the owner a light-filled view to the courtyard beyond in this affordable two-story house in South Minneapolis.